We have 7 cask ales ( 3 permanent 4 guest) 3 on Tap lagers, 1 on Tap cider and Guinness on Draught. We also have well stocked fridges with different ales and ciders from around the world. We offer a wide choice of wines, champagne’s and prosecco’s at competitive prices. Please visit our website and join us on facebook and twitter which we regularly update with new beers on Tap and up and coming events. 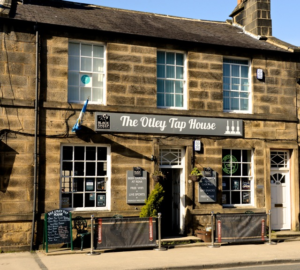 Limited parking is available on the road outside, and Otley town centre car parks are only a couple of minutes’ walk away..